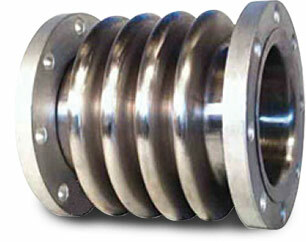 Expansion joints with high corrugation. High Corrugation HC uses a hydroformed bellows for minimal residual stresses and minimal thinning at the convolution root and crown. It is an excellent choice for any application within the pressure ratings of the 150 and 50 psi classes.